2017-2018 Man United Home Shirt (Mkhitaryan 22). 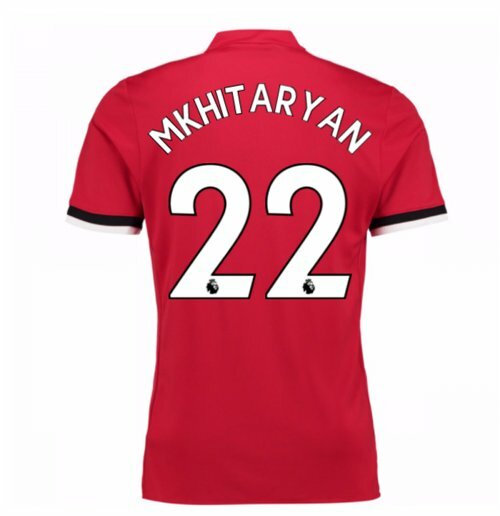 OfficialHenrikh Mkhitaryan footballshirtfor Manchester United. This is the new Man Unitedhomeshirtfor the2017/18 Premiership season which is manufactured by Adidas and is available in adult sizes XS,S, M, L, XL, XXL, XXXL.ThisMan Unitedfootballshirtisred in colour and comes withHenrikh Mkhitaryanshirtprintingon the jersey.